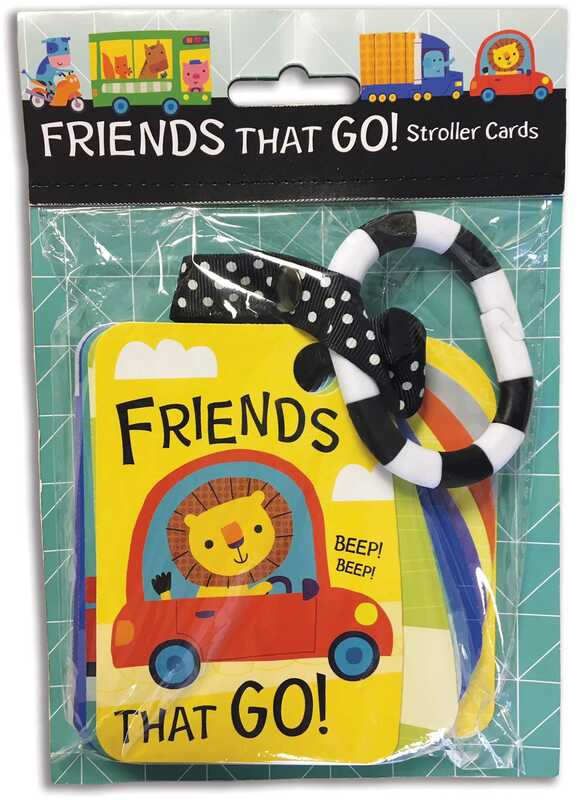 Babies will be entertained by these sweet and portable Friends that Go stroller cards. Each double-sided card features colorful illustrations and introduces a mode of transportation with a friendly animal friend. The ten shaped cards are held securely together with a teething ring, and also includes a ribbon so they can easily be attached to a stroller or car seat. Babies will be amused and delighted by this introduction to vehicles, and will have fun flipping and turning the cards!